Be as warm as possible this week, folks. Stay smart and stay safe. Miscellaneous fun transaction note from Jordan Bastian’s latest Inbox: remember that trade for Ronald Torreyes, and then the Cubs non-tendered him just a few days later? Our best guess at the time was that the Cubs acquired Torreyes with an intention to get him signed for $X, and when that didn’t happen, they non-tendered him rather than risk having to pay him quite a bit more than $X. Turns out, that was correct, with a specific transactional vehicle I’ve never really seen before: “[T]hat November transaction was actually for a player to be named later or cash. There was a cash transaction, which enabled the Cubs to have a negotiating window with Torreyes prior to the non-tender deadline. They did not agree to a deal, Torreyes was non-tendered and that was the end of that.” In other words, it sounds like the Cubs and Yankees explicitly worked out a deal where the Cubs would send the Yankees some money just for the right to try to work out a deal with Torreyes. If that deal happened, then many the Cubs send the PTBNL. But if it didn’t – which is what happened – the Yankees just keep the cash. Other good stuff from Bastian in that Inbox, including Adbert Alzolay’s rehab, and Albert Almora’s role in the outfield. Just 16 days until pitchers and catchers begin reporting. I was thinking about not only the still-robust free agent market in general, but more specifically the kinds of guys you’d most want to be in the house when Spring Training opens up, lest you risk underperformance out of the gate. It’s less of a concern with position players, who can come in and just kinda mostly do their thing at the plate. But with pitchers and catchers, who have to understand the system, who have to work closely with each other from the word go in order to succeed at the highest possible level, and whose learning necessarily builds upon the day before and the day before, yeah, it seems critical to get them in the door as early as possible. 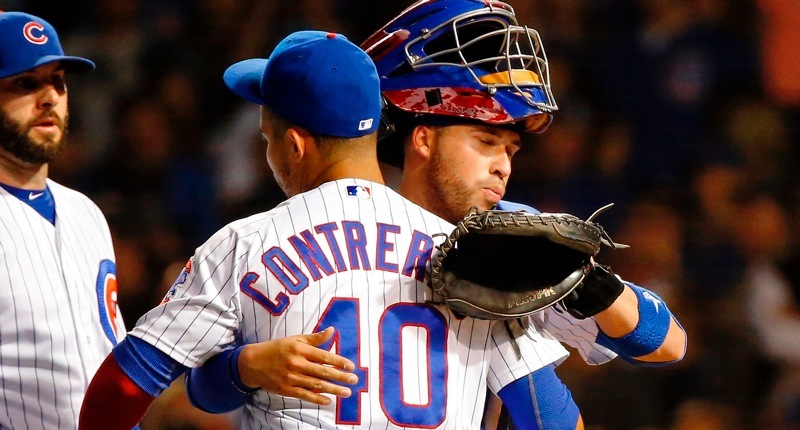 To that end, if the Cubs are going to add a veteran back-up catcher – perhaps a framing and defensive wizard like Martin Maldonado, who can help with Willson Contreras’s continued development and also spell him much more than last year – the time to do it is now, before pitchers and catchers report in a couple weeks. I still really like Victor Caratini’s potential, mind you. 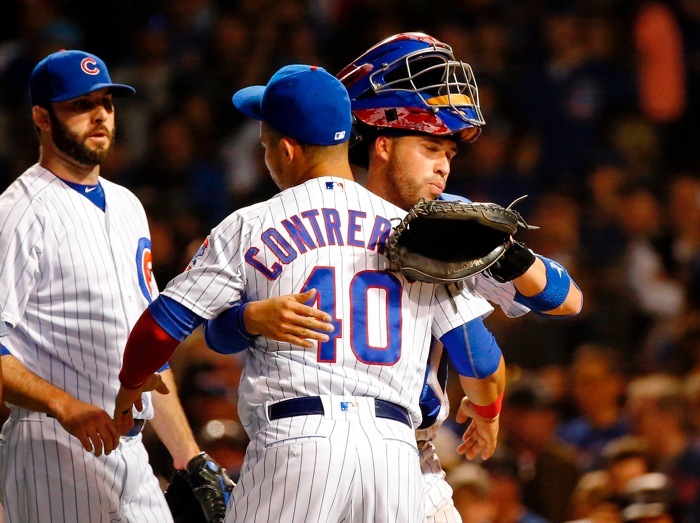 I just think the 2019 Cubs would be best served by having a guy like Maldonado paired with Contreras, and Caratini serving as the third catcher (which will absolutely be needed at the big league level at some point this year anyway). Can I just say – and the resolution of free agency could exacerbate this further – it’s really annoying how competitive the NL is compared to the absurdly stratified AL? Don’t get me wrong, I’m chill with the NL being competitive because it’s good for baseball, but the relative difference between the leagues is so freaking lame. There were SIX(!) teams in the AL last year with a positive run differential. There were FIVE(!) teams in the AL that won fewer than 68 games. It doesn’t look much better this year. Vintage speakers, party supplies, PC supplies, and a rower are among your Deals of the Day at Amazon today. No, there aren't any future Hall of Fame starters in this bunch, and probably no one who is likely to be more than a No 4 starter in any MLB rotation in '19 or '20, but that's not the point. The point is the farm system is finally about to produce pitching in volume. Next Post Next post:Royals Extend Whit Merrifield on a Very Modest Four-Year Deal – What’s the Fallout?